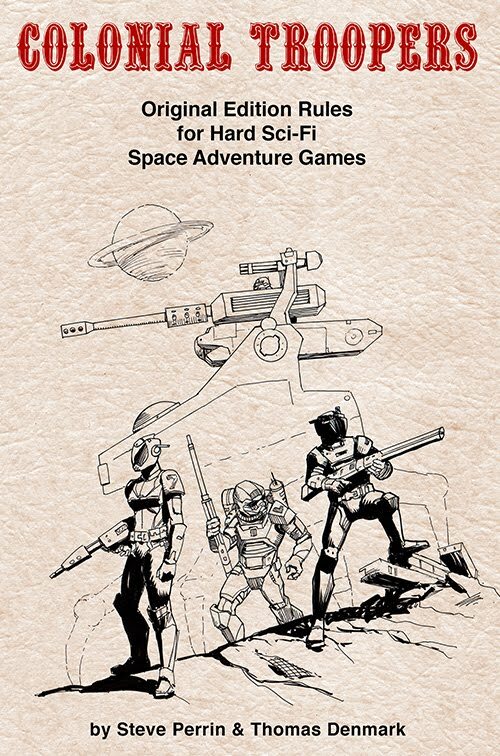 The final text for Warriors of the Red Planet has been delivered and the book is deep in layout. Normally it wouldn't take too long to lay a book out, but I'm also creating art for it. And the writing was so good I wanted to do a "AAA" job on the art. Well, AAA art takes time. If all goes well the book will be done by the time the John Carter movie comes out (wouldn't that be swell?!). This is a typical page. The header pages have a full page illustration with a pull quote. Layout is far from final. The way I work I set up everything into templates, so if I change the design in one place it can be updated everywhere painlessly. 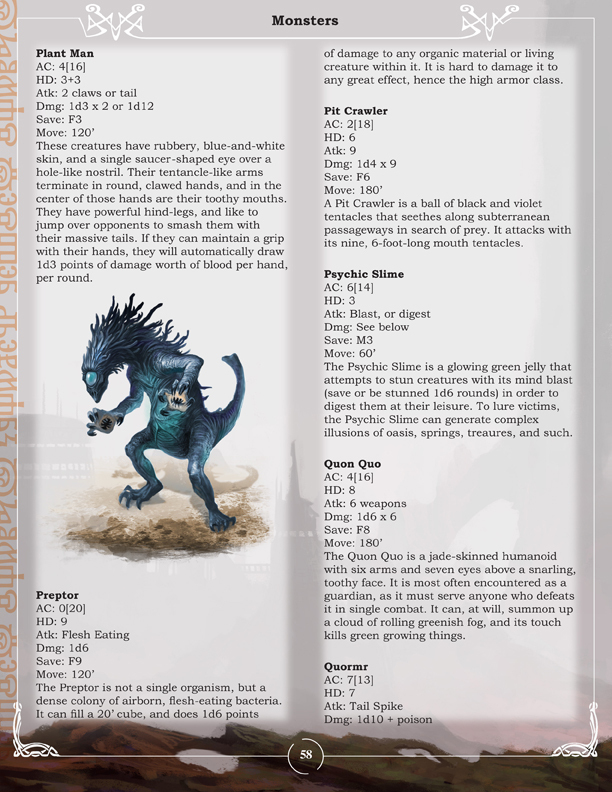 My goal is to have at least 1 illustration per page in the Monsters section, hopefully more time permitting. This will be a fairly heavily illustrated book when it is done. 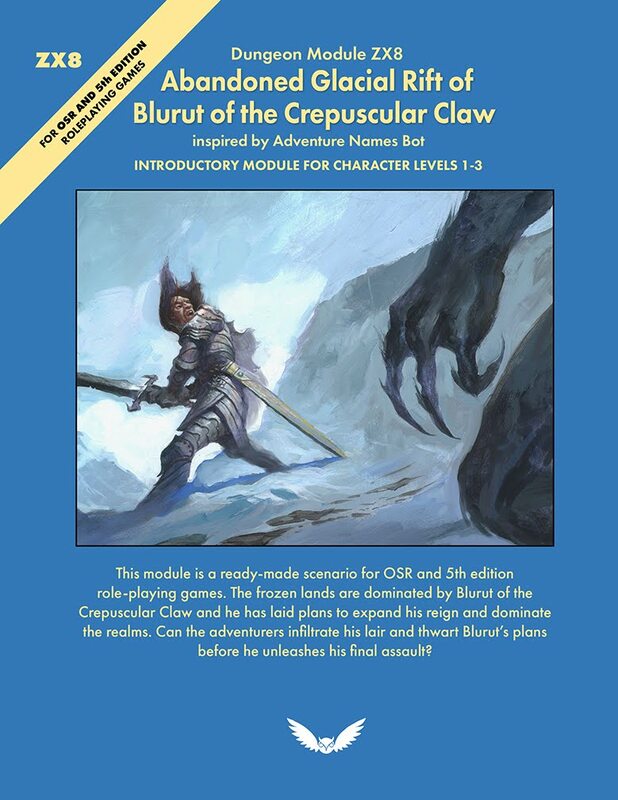 Looks like an amazing RPG book making tool! Wizards of the Coast announced on Thursday that they will be releasing a limited-edition reprint of the original Advanced Dungeons & Dragons (AD&D) core rulebooks: the Player’s Handbook, Dungeon Master’s Guide, and Monster Manual. Each of the books will be a faithful reprint of the original content and art, but receive a new cover design. This is great news, if the new covers are compelling there is a chance I'll pick these up. 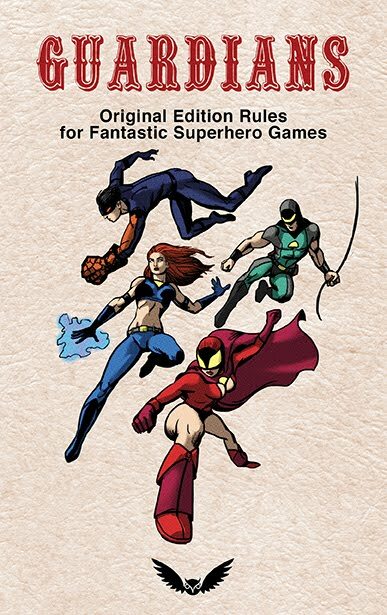 Now what I would really like to see Wizards do is make ebook versions of all the past D&D products available for sale. I am really rooting for Andrew Stanton's version to be amazing, but I have to admit from what I've seen this version by director Kerry Conran looks much better, much more visionary. Pleasing all of the people all of the time? All across the intertubes news of 5th edition has spread, from no less a luminary source than the New York Times to the humble Grognardia blog and everything in between. It is quite surprising to me that news of an update to a little hobby game from 1974 should receive such attention in 2012. The year of doom. The dead rising from the grave!… Human sacrifice, dogs and cats living together... mass hysteria! and 5th edition! This announcement should be no surprise to those who noticed that Monte Cook went back to work at Wizards. I really enjoy his writing and design work, so am pleased as punch to hear this. 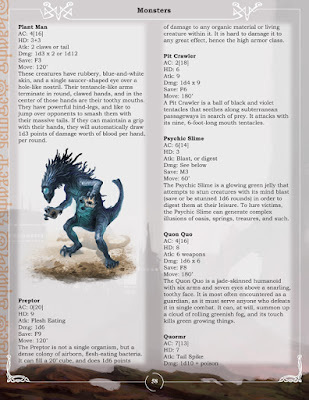 There is also some excitement that Robert Schwalb has joined the 5e design team as well. I'm less familiar with his work, but this does sound promising from what I have read. The biggest news, for those of us who care, is that Wizards is sending out all the right signals that this edition will be a game designed with the intention of uniting the various factions of D&D players. I am very happy to hear the plans to make 5e more modal with a basic system, and branching out to service individual niches. It sounds like a return to form. I don't think any system can ever pull together the disparate forces that comprise the D&D fan base. Monte Cook is certainly a good choice for the task though. A noble goal indeed! 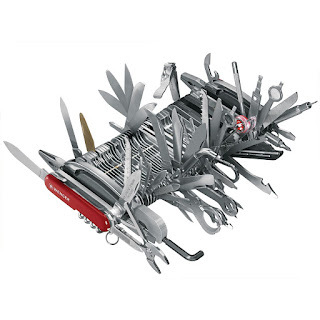 But I can't help but think they are trying to build the ultimate Swiss Army knife. The product that does everything! 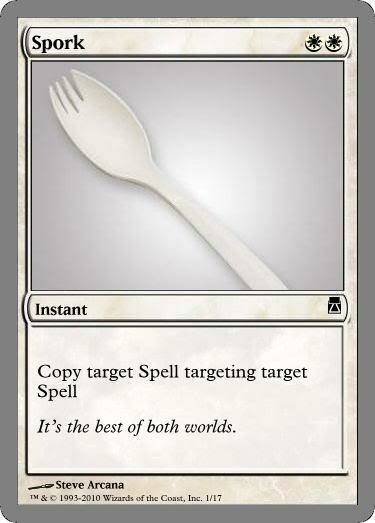 Perhaps a better analogy is the spork. 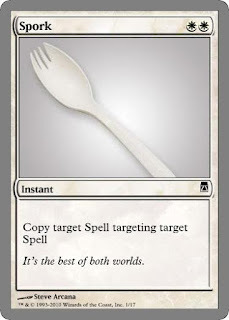 The spork is intended as a system to be faster and less cumbersome than it's fork and spoon predecessors. Thus it is demonstrably better, mechanically, than previous utensils. Right? Whatever happens, I really do wish Wizards all the success in the world. Because the success of D&D directly affects the hobby gaming business in general. None of us likes seeing local game stores closing down, we much prefer them to be vibrant and funded well enough to maintain a place where we can go play some games and see new games physically in person before purchasing.